Increased access by women to justice, property rights and top jobs has seen Kenya emerge as the leading reformer globally in a report released by the World Bank on Tuesday. 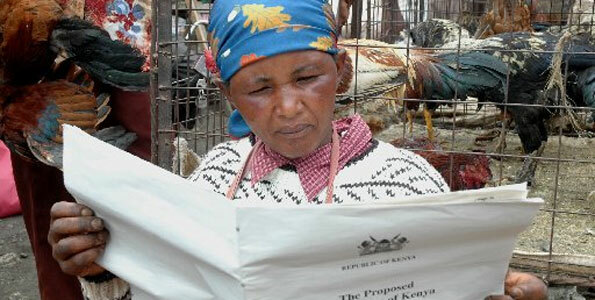 The report says women in Kenya were greatly empowered by the new Constitution as well as other legal reforms that have been taking place in recent years. “Kenya has achieved a lot in gender parity because of the new Constitution which is now being studied by many countries in the world that want to carry out reforms,” said David Bridgman, regional manager for Investment Climate Advisory services in Africa at the World Bank. Entry filed under: Uncategorized. Tags: africa, Business and the Law 2012: Removing Barriers to Inclusion, democracy, developing world, development, economic development, Gender Equality, Geoffrey Irungu, Helping Women Helps the World, Investment Climate Advisory services, Kenya, women, women's development, women's rights, World Bank.